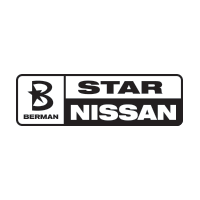 At Berman Auto Group customer satisfaction isn’t just a goal it’s part of our culture. We will strive to fulfill your every automotive need, no matter how big or small, not just during the purchase of your vehicle but for as long as you own it. That’s why when it’s Backed By Berman, you can Trust in Us! We appreciate your interest in our inventory, and apologize we do not have model details displaying on the website at this time. Please fill the form out below and our team will quickly respond, or, please call us at 847-563-4748 for more information.